I had read so many reviews before actually buying this, not going to lie, this is quite expensive beauty product. When I first saw it in-store, I had fallen in love with the packaging. It's so small and it's not heavy, great for traveling. 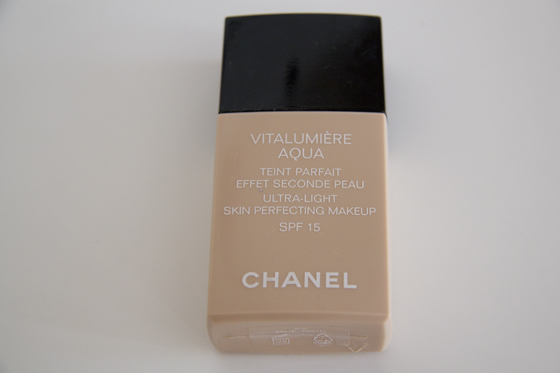 This foundation is one of my favorite to use for summer. 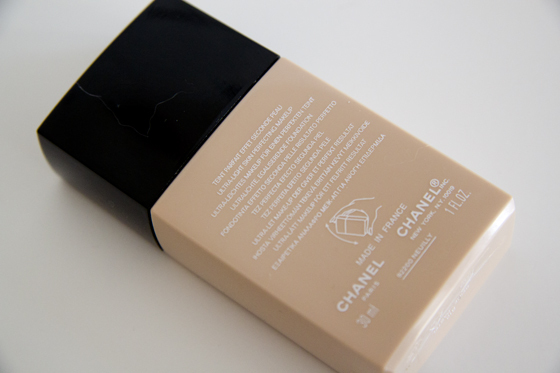 Recently Chanel had launched compact version of this foundation. The Compact version is more expensive, but I would love to try it out one day. 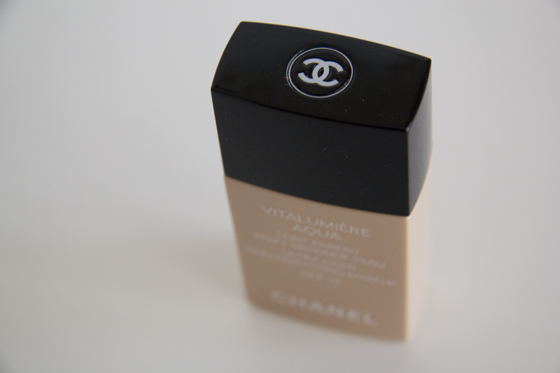 This is a light coverage foundation, it's feels a bit like an tinted moisturiser, but with more coverage. As it's water based you have to shake the foundation before applying. It's also oil-free. Vitalumiere Aqua feels weightless on the skin, it doesn't leave your skin feeling sticky. 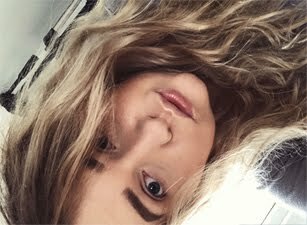 The foundation blends really well. I find describing the finish really difficult, I would say it's semi-matte. It's glowing in the right places. It's last on my skin for around 8 hours, but after around 4 hours my nose is already shiny. That actually happens with most of the foundations I use. 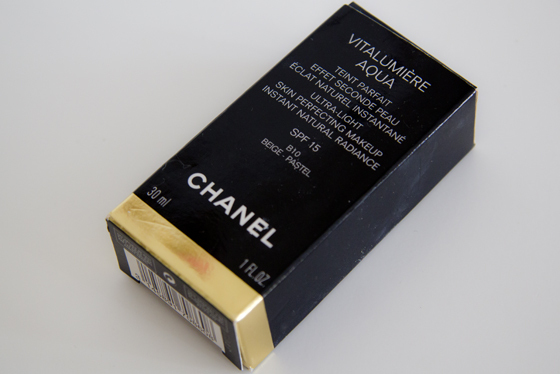 Chanel Vitalumiere Aqua had such a nice floral scent, it's may not be everyone cup of tea, but I really like it. Once you get almost to the end, it will get more difficult to get out. When I will my first bottle (I have around 4-6days of use left), I will definitely repurchase it. I'm also planning to cut the bottle in half, just to check how much foundation is left on the walls, I always been curious about that. This sounds great, but i always want more than just a light coverage! IT IS BRIGHT AND UNIFIED GOOD COMPLEXION.